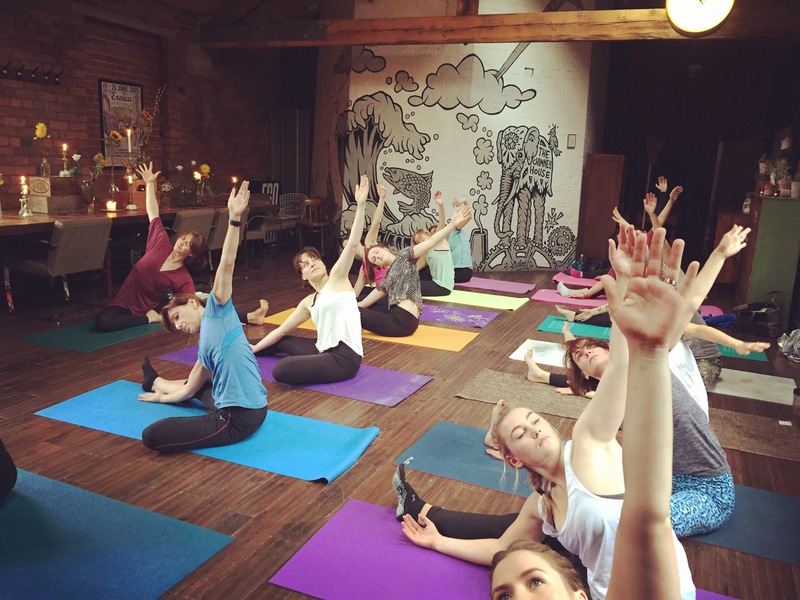 Yoga Brunch - the Perfect Start to Your Weekend! 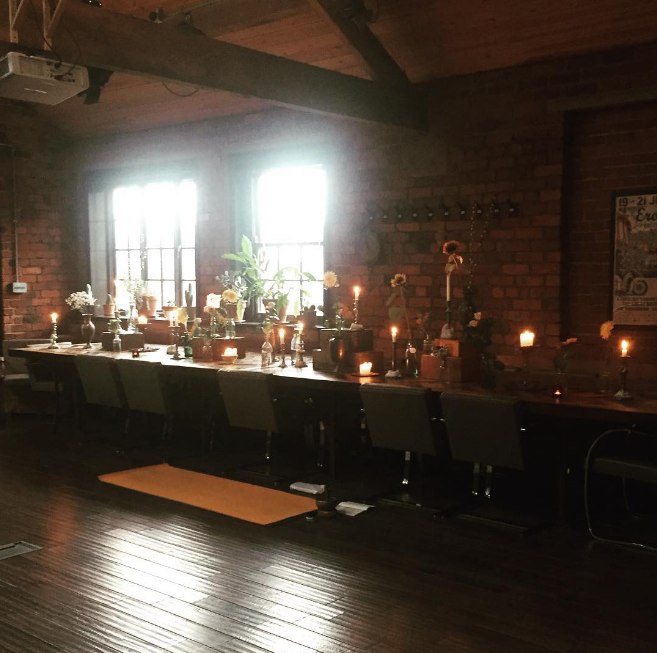 There's nothing lovelier on a horrible grey day than to kick your shoes off and settle your yoga mat on our heated floorboards, surrounded by flickering candles, to cosy up for 90 minutes of yoga practice with Lydia Ainscough. We welcomed guests into our beautiful Aesop-scented Grade II listed building for the dreamiest Saturday morning in Sheffield! Our award-winning Meeting Room had been transformed into a serene space for practicing yoga, to help the week of stresses and strains disappear. "A thoroughly enjoyable & beautiful morning - the perfect start to a lazy weekend. Thank you" Zoe. Our sold-out 90 minute class was designed by Lydia taking inspiration from the celestial happenings and Sunday's Hunter's Moon. The Hunter Moon, the second full moon after the autumn equinox, was traditionally celebrated as it gave extra light to hunting parties stocking up before winter, so feeling inspired (and before we stocked up on brunch!) Lydia led us through a beautiful class based around moon salute asanas. Ommmmmm! 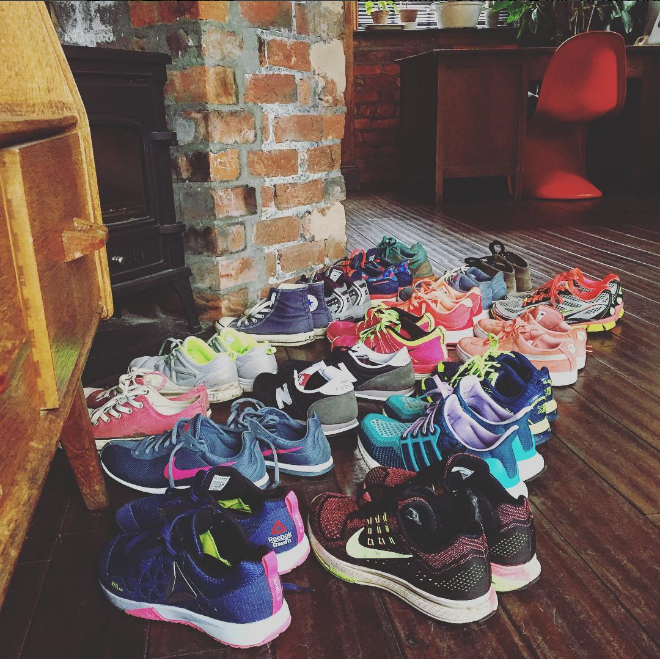 "I had a fabulous time at yoga & brunch - amazing food, fantastic setting - so beautiful!" Eleanor. We tucked in to overnight bircher muesli, made with pear, almond milk, coconut yoghurt, autumn compote & almonds, with blueberries, raspberries and strawberries for sprinkling, and crème fraîche for dolloping on top! We had slow cooked luxury eggs, swirled with double cream, puff pastry bakes with bacon, crème fraîche, mature cheddar and eggs, topped with freshly snipped chives and cracked black pepper. There was a mountain of perfectly ripe avocados for smushing with slow-roast vine tomatoes into a selection of Seven Hills freshly baked bread; poppy seed pagnotta, pumpkin seed sourdoughs. We had treaty raspberry jam, orange marmalade, and Pip & Nut's honey cinnamon cashew butter and almond butters to top toast with! Not to mention our tradition of brunch pudding; Seven Hills' incredible gluten free lemon & poppy seed cake. Full of delicious things, warm, blissed-out, relaxed and happy, our guests wandered leisurely off to enjoy the rest of their weekend, having started it in the most perfect way. "Yoga Brunch with Lydia was gorgeous. I wish I could start every weekend like this. The food and atmosphere were perfect. Thank you" Amy. "Such a lovely morning - tasty brunch and wonderful yoga! Fabulous time, will be coming back for the next one!" Lauren. Our next Yoga Brunch date will be announced very shortly... Don't miss out! Make sure you're in the know, drop us an email to kirstin@thechimneyhouse.com to be added to our mailing list.